Applications are now open for this year’s Buskers Bash Competition! To register your interest, please click the link below and fill in an application form today. 1. APPLICATION FORM CLOSED: Please begin by registering your interest and filling out the application form. Applications will close on Tuesday 5th March. 3. SELECTION PROCESS: We will watch through all of the video sent to us and select up to 14 acts play at this years Buskers Bash. 4. NOTIFICATION: Successful applicants will receive an email by Tuesday 12th March inviting them to perform at this year’s event. Confirmation of your attendance must be received by Tuesday 26 th March or your place will be offered to another applicant. 5. 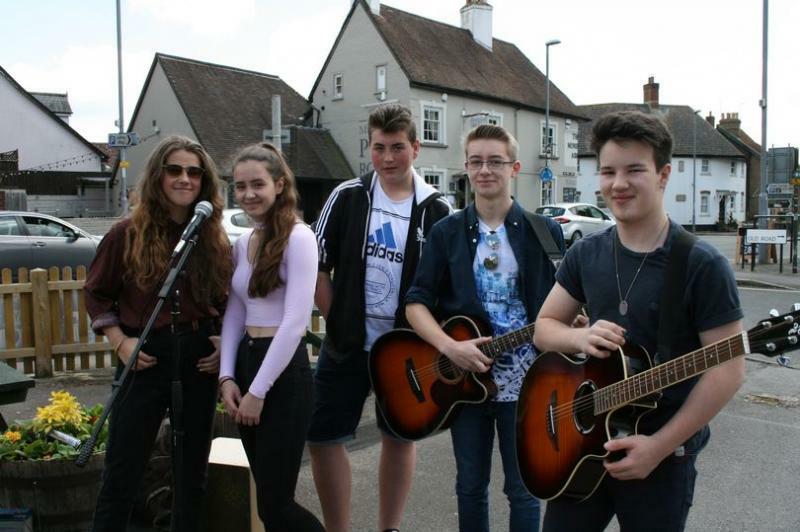 EVENT: Performers will play at various locations around Wimborne on Saturday 13th April. Audience members will vote for their favourites using tokens and each act will perform for our judging panel in the Square. Each year, buskers from around the country travel to Wimborne to compete in the annual Buskers Bash. Organised by the committee of Wimborne Minster Folk Festival, you can find the sound of traditional street entertainment at various venues throughout the town including The Square, The Library and The Oddfellows Arms. Members of the public can purchase tokens on the day (at a cost of £1 for 10) to show their support for their favourite artists and all of these votes will be counted and combined with a judges’ total to decide the winner. Participants will compete this year for a cash prize (£100 Winner and £50 to the Runner Up) and the winner will be invited to perform on the Willow Walk Stage during the 2019 Folk Festival. It promises to be a thrilling competition.